This is a great and simple to make soup. Use winter squash or pumpkin and you will have a savory treat in no time. 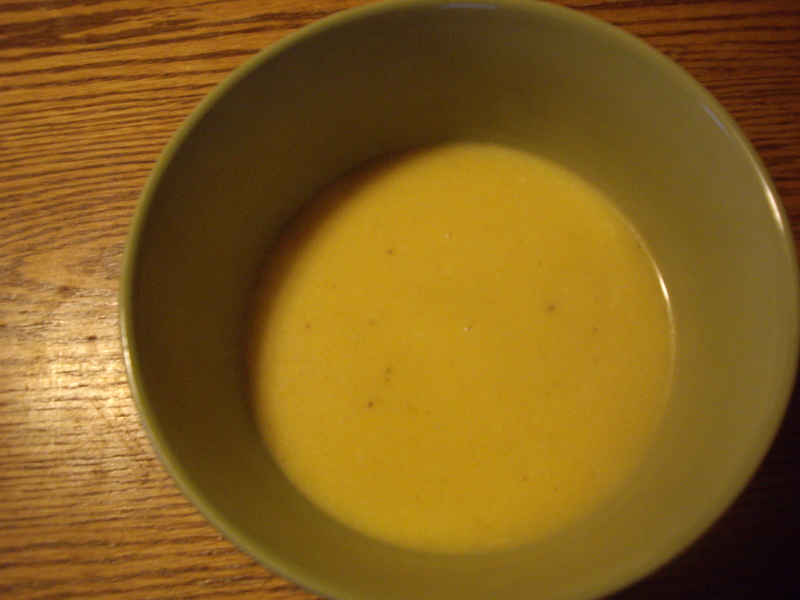 In a large bowl mix the broth and squash puree together. Set aside. Melt the butter in your saucepan. Stir in the salt, pepper, nutmeg, ginger, and flour. Add the milk and over medium high heat, stir continuously, until the mixture is thickened and bubbly. Cook for another minute and keep stirring. Add in the broth and squash. Cook and stir until it is heated through or a little longer if you it a bit thicker. If you have to bake a squash for this, you will need one that is about 1-1/4 pounds. If you use pumpkin, a 15 oz. can of pureed pumpkin will give you 1-3/4 cups. For chicken broth use bouillon and water, store bought, or some already made that you have in the freezer. I like the mix of ginger and nutmeg, but using either one alone will work great too. I always make lots of pumpkin soup to freeze which it does very well. My recipe is similar but not quite the same as yours. I have never tried freezing the soup. That is a good idea.